Are you looking to buy a new laptop? And somehow Dell is your favorite brand then you are at the right page. Dell has been a budget segment leader when it comes to laptops. And you searching for best dell laptop under 30000 is a proof enough. 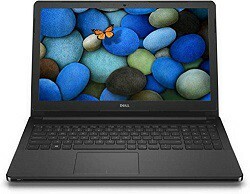 Though there are many options for buying an under 30000 INR laptop but if you have made your choice to buy a dell brand laptop then do make sure to read what to expect within this budget. The below are a few key points on what configuration you can expect under the budget of Rs. 30,000 for a new Dell laptop. Processor: Under the budget of 30,000 you have two major choices of processor. The first one is an 8th Generation Core i3 processor or you could also get a 7th Gen Core i3 processor for a little lower price and the last one is the latest AMD Ryzen 5 series processor. Operating System: Most of the laptops in this budget range comes with either a DOS based OS or Linux based Ubuntu. However, since there are drivers available, so you install your own OS without any problems. If you would like to install Windows 10, you can do so without any problems since there are drivers available on dell website. The first laptop we would like to draw your attention to is Dell Vostro 3478. This laptop is number one on our list of best dell laptop under 30000 since this is powered by an 8th Generation Core i3 processor which is better than 7th Generation Core i3 processor anyday. However you will have to compromise on screen size since this is a 14 inch laptop. Other than that most of the features are quite similar to the ones next in the list below. Again a vostro series laptop is second on the list. This model the Dell Vostro 3568 is essentially the same but there are some major design and configuration changes in this series. The first difference you will see is that this is a 15.6 inch screen laptop which means a bigger screen and it also includes a full size keyboard unlike the Vostro 3478 above. This laptop is powered by a Core i3 7th Gen Processor and comes with two options of Operating System which is Ubuntu or Windows 10. The price difference is hardly Rs. 500 between the two varaints. So, if you don’t have a Windows 10 key already, spending additional Rs. 500 for genuine Windows 10 OS is a wise move. Though we have placed Dell Inspiron 3467 in the third place, this is the best value for money budget core i3 laptop you purchase right now. Priced below Rs. 27,000 (if stocks last), this laptop is an identical copy of the vostro 3568 series with the design of Inspiron series. It’s powered by the same Core i3 7th generation processor with 4GB DDR4 RAM and 1TB hard disk drive. However the screen size again is downsized to 14inch which is why it’s on the third place. If gaming is on your mind, then this Asus Vivobook 15 laptop is what we would recommend. 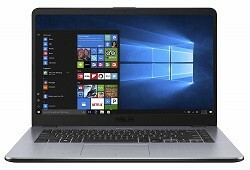 We know we have added an Asus laptop in the best Dell laptops series but the configuration and price the Asus Vivobook 15 offers is one of the best under Rs. 30,000. Asus Vivobook 15 is powered by a new AMD Ryzen 5 processor which is comparable to an 8th Generation Core i5 processor and also integrated a better graphics card. It integrated an Radeon RX Vega 8 graphic card which is way better when compared with integrated Intel UHD 620 graphics. The performance could easily be seen through high points scored in the tests. See the CPU details at notebookcheck here. The Ryzen laptop series processor integrated with Radeon RX Vega 8 graphic is our preferred choice over the i3 powered 8th Dell laptop. If you prefer a laptop with an Intel processor and a dedicated graphics card, you can also see this ASUS Vivobook X507-UV gaming laptop under 30000which comes with a 7th Generation Intel Core i3 processor and 2GB dedicated Nvidia Geforce 920MX graphics card. 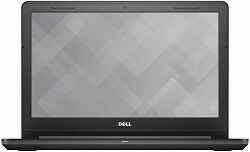 We have screened all the above questions and presented you with a list of best dell laptops based on the answers but the decision is yours in the end. Do let us know in the comments if you need our help.